Millions of people around the world will watch as Prince William marries Catherine Middleton on Friday in Westminster Abbey, but only 1,900 lucky guests received invitations to attend the service, including members of the British Royal Family, religious leaders from the Church of England and other faiths, and international dignitaries. Did you receive that coveted gilded invitation from the Queen and need something special to wear to the wedding of the century? Let the DMA’s collections offer some wardrobe inspiration . 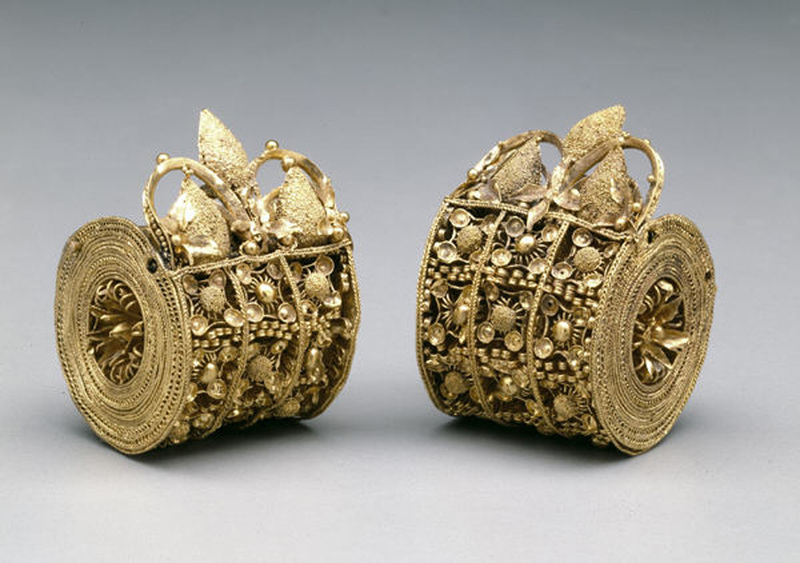 . .
No Royal Wedding outfit would be complete without glittering jewelry, and these ancient Etruscan earrings (from the 6th century B.C.) would complement a smart spring suit or frock. Known as bauletto (or “little bag”) for their cylindrical shape, these earrings originally would have been suspended on hooks. Each earring is decorated with an elaborate floral motif, created by fine gold filigree wire and tiny gold globules. This extravagant headdress would have been only one component of ceremonial regalia worn by men in the Calima region of Colombia about 2,000 years ago. Imagine the gleaming image of a wedding guest outfitted from head to toe in gold – including ear ornaments, pectorals, bracelets, and anklets. 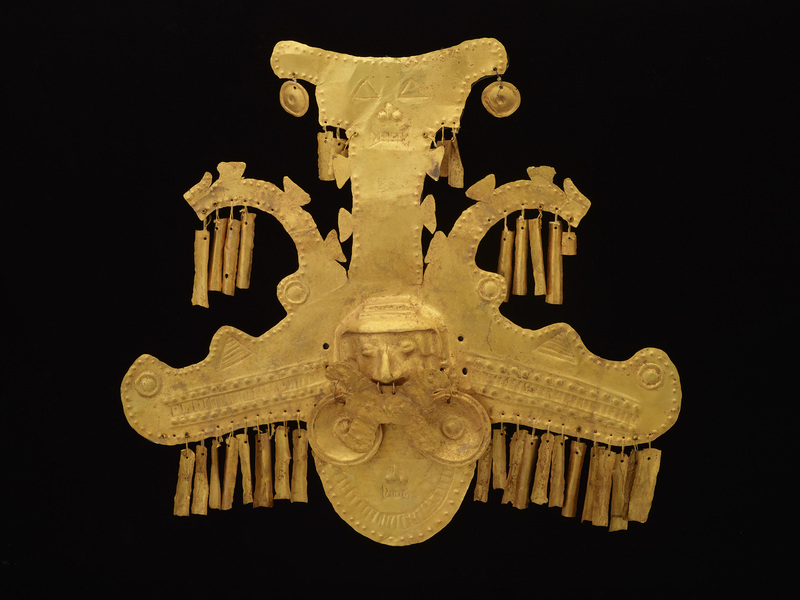 This ornament probably would have been attached to a cloth headdress, like a turban, and its gold dangles produced a soft ringing as the wearer moved. Both Catherine Middleton and her future grandmother-in-law, Queen Elizabeth II, are well known for their shared taste in glamorous hats (compare their recent looks and vote on your favorite here). Whether the bride will wear a hat, tiara, or flowers on her wedding day remains a secret, but we can surely expect a parade of fanciful millinery from the guests at Westminster Abbey. 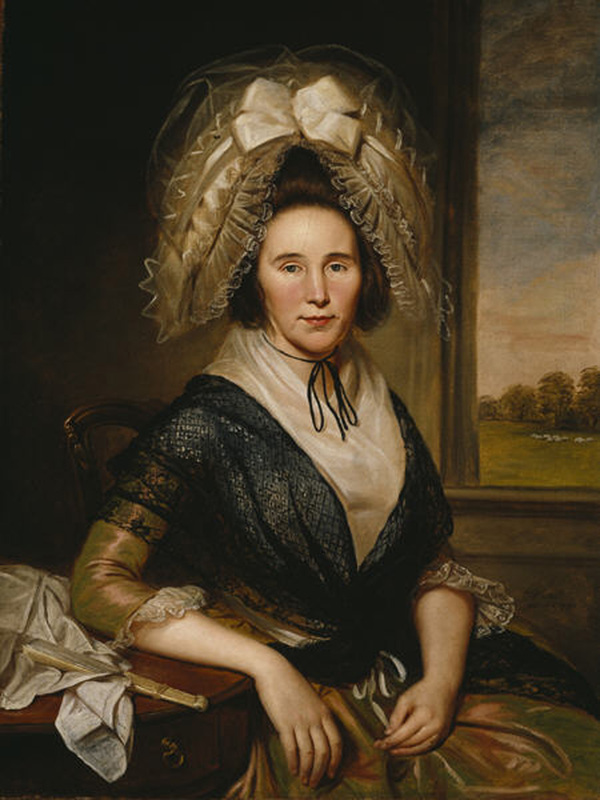 This elaborate hat must have been a favorite of Mrs. Rachel Leeds Kerr, as she wore it when sitting for her portrait by leading American artist Charles Willson Peale in 1790. Wearing this sumptuous topper would signify Mrs. Kerr’s wealth, fashionable taste, and high social status—just as a fabulous hat does today. Guests to the Royal Wedding have more to think about than clothes, jewelry, and accessories; a wedding gift for William and Catherine is an equally important consideration. Silver serving pieces are often cherished wedding gifts for any bride and groom, but buying for royal couples demands something truly special, such as the monumental Huntingdon wine cistern. 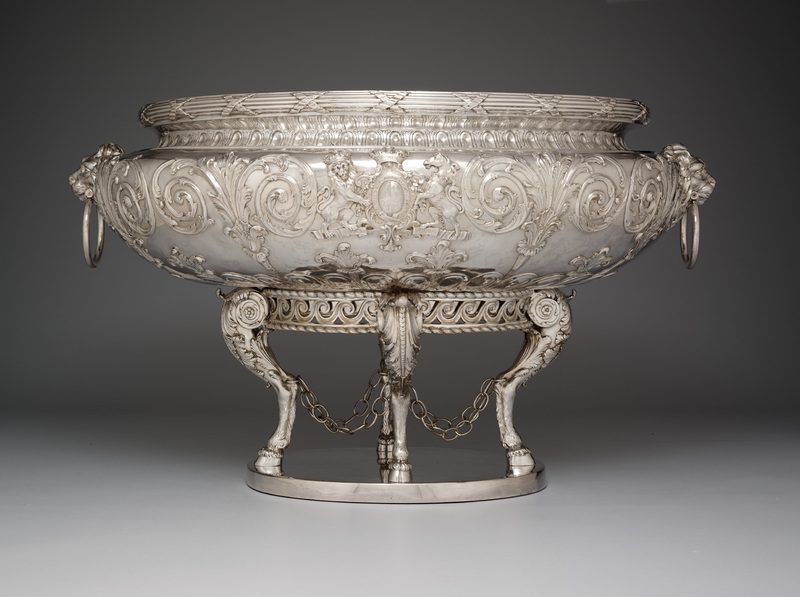 In fact, this magnificent piece was used to hold ice and chill wine in the home of Frances Hastings, Earl of Huntingdon, who was appointed to the cabinet of the King of England in the late 18th century. Weighing more than eighty pounds (empty! ), it would be the perfect centerpiece at any royal party. If we could, we would fill it with bottles of champagne to toast William and Catherine on their wedding day. Lisa Kays is Manager of Adult Programming at the Dallas Museum of Art.